The big Dutch man was brilliant for Fulham and was even better for United. Van Der Sar holds the record for clean sheets at United, a monumental achievement considering Peter Schmeichel was there for nine seasons. VDS won five Premier Leagues, two League Cups, a Champion’s League and the Club World Cup whilst at Old Trafford, he also lost two Champions League finals to Barcelona in that period. The best right-back in the history of the European game. A real tiger at the back, you didn’t go by Neville too easy. Eight Premier Leagues, three FA Cups, two Champions Leagues and two Club World Cups says enough really. 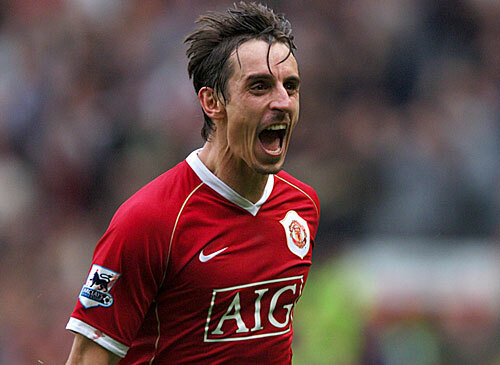 Neville played 85 times for England and also captained his boyhood club. The rock that Manchester United’s recent success was built on, the Serb was a colossus for Sir Alex Ferguson’s sides in the mid naughty’s. Vidic won five Premier Leagues, three League Cups and the Champion’s League with the red devils. Nearly 200 appearances for United, Vida is a machine. Passion, ability, courage and class all sum up JT. The Chelsea skipper was one of three players that formed the nucleus of Jose Mourinho’s champions. Terry has played 396 times for the Londoners and has won every single honour in England and Europe with the exception of a Super cup. ‘’Irwin was my best ever singing’’, and when Sir Alex says that you have to appreciate the magnitude of the statement, especially considering the calibre of player who played for Fergie. With 368 appearances, Irwin was a pivotal in United’s catapult to the summit of English football. Wow. What a player. As a United fan it pains me to say it but wow. Gerrard is the greatest player of all time never to win the title, and not just in England, in the world. 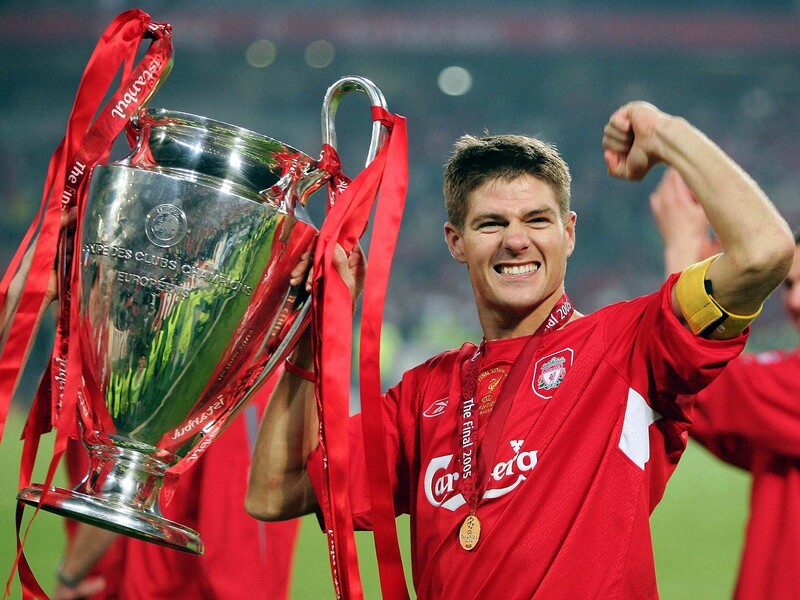 The 2005 Champions league final and the 2006 FA cup final were his two finest hours. A real legend of the game. 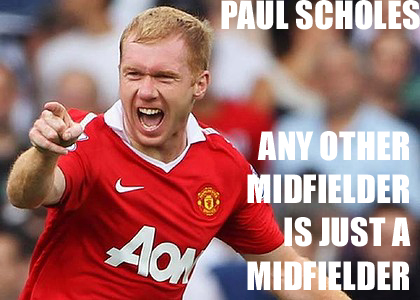 Words cannot describe Paul Scholes. Pele, Zidane, Figo and Charlton have all talked of his genius. The best player to have ever played with United, he has won every single honour in the club game on at least two occasions. ‘’Paul Scholes is the best player that I have ever seen’’, says Ronaldo. The second of Mourinho’s nucleus, a fantastic player with great box to box ability. Chelsea’s all time goal scorer and the only midfielder in the top 10 all-time Premier league scorer’s. Capped over 100 times for England, has won the league on three occasions and led Chelsea to their finest hour in Munich, in 2012. Giggs holds United’s record number of appearances and was a devastating winger. Today, although, the legs have gone he picks the passes from the middle of the park. Every single honour both individually and collectively are to his name. Over 650 appearances for United Giggs is a wonderful ambassador for any kid. 260 goals in the premier league is a stat on its own. Shearer was a one of the game’s real gems. A title winner with Blackburn in 1995, Shearer played 612 times for club and country. The Geordie icon doesn’t have the accolades that he deserved but he was still a legend. The third of Mourinho’s nucleus, Drogba was a revolution to the premier league. 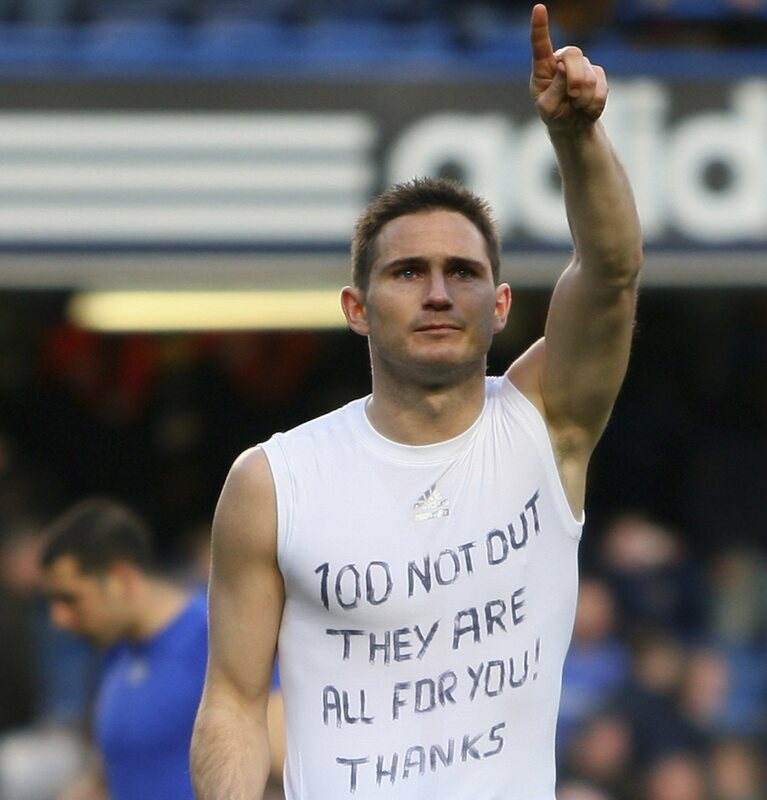 226 apperances and 100 goals for Chelsea make him one of the league’s best ever players. Scored the equaliser and the winner as Chelsea won the champions league in 2012. Three premier leagues, four FA cups, two league cups and 97 caps with the Ivory Coast. Enough said.